Brand New Clay county home on over a 1 Acre Homesite. 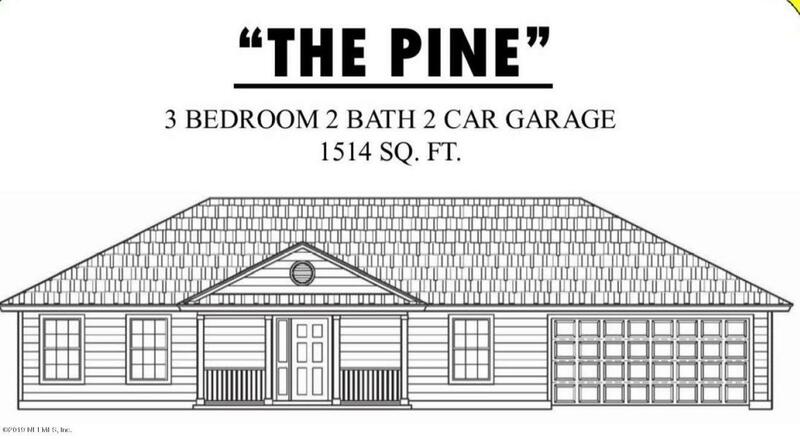 The Pine plan by Keystone Building Corporation, features an open inviting floorplan with 3 Bedrooms, 2 Baths, and a 2 car garage. Included features are open kitchen with Large Island, Large family room with vaulted ceilings, wood burning fireplace, luxury all wood cabinets in kitchen and bath, Stainless steel microwave, range, and dishwasher. Double tray ceiling in Master with huge walk in closet, private bath with his and her sinks. Exterior includes front sitting porch, Low-E insulated Double Pane Vinyl Frame windows, and 30 year architectural Roof Shingle. Brand new Home, 1 acre homesite in clay county with top rated schools. 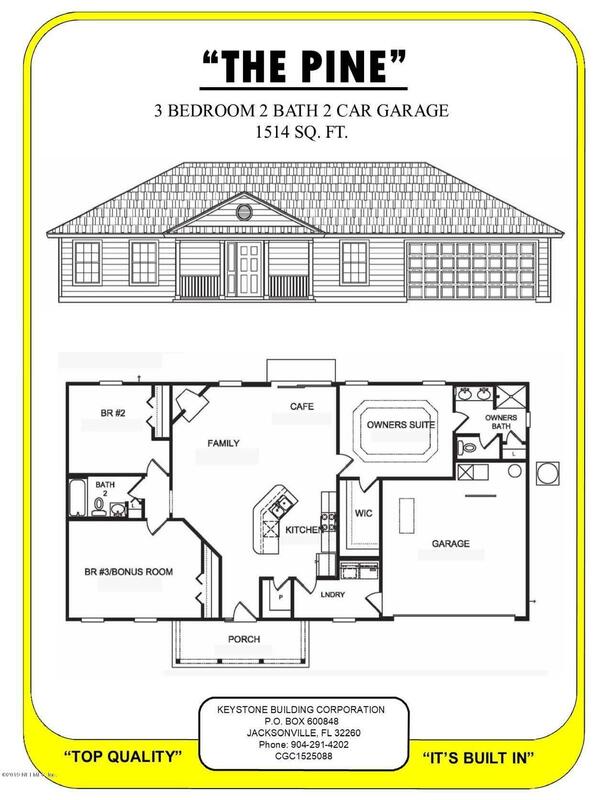 1-2-10 warranty, NO HOA, NO CDD, plenty of room for the family, pets, or chickens! 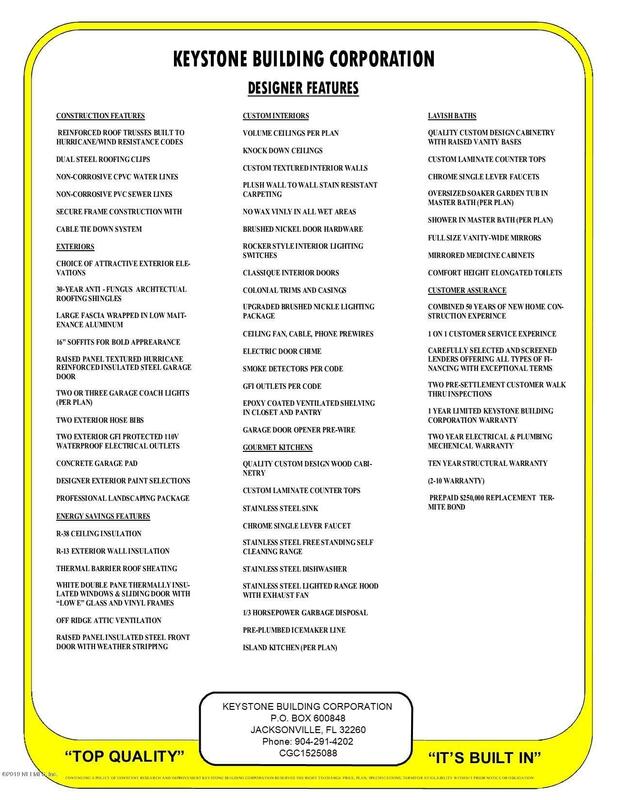 Listing courtesy of Magnolia Real Estate Company.